One of the most common things you will hear a bride and groom say is that their wedding "felt like blur!" or "it went by so fast!". 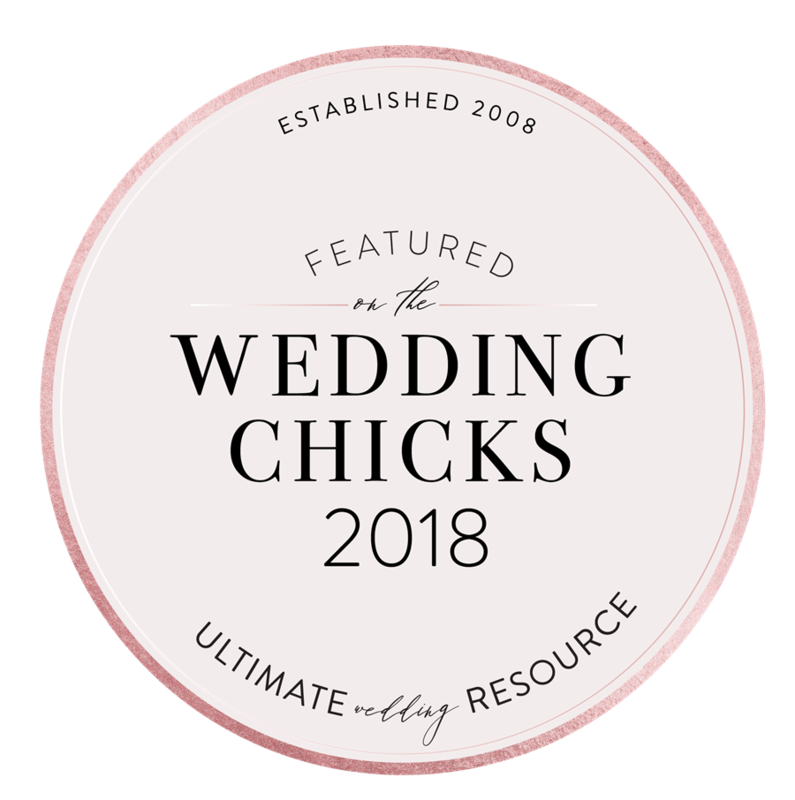 Most couples would agree that it would not only be amazing to relive the entire day all over again, but also catch some of the moments that may have been missed or may have already been forgotten. For any engaged couple who wants their wedding to be documented, photo is usually the first thing that comes to mind. After all, images from your wedding day are traditionally the only thing that remains after the wedding day is over. Wedding cinematography has been on the rise the past couple of years with more and more couples seeing the importance of capturing their special day with both photo and video. Still, some couples find themselves asking the question, "Why would I need or want a wedding video?" Video, in general, is more accessible than ever. Through our smartphones, apps like Instagram and Facebook are allowing us to easily capture simple everyday moments on the go. Most of the time, you don't realize how meaningful those impromptu memories are until you look back at those video clips months, or even years later. Now think of all those feelings you get looking back at simple everyday home videos - the laughter, the joys, and the tears they bring. Wouldn't it be great if you could capture one of the most important moments of your life on video, too? Both photo and video capture stories; they document moments and, in a sense, make time stand still. Wedding photography is essential, of course, but think about actually being able to hear the sounds, see the movement, and experience the priceless emotions of the day in an extra dimension. Video allows you to see and hear every moment in its entirety. Moments that bring you back to the conversations you were having with your bridesmaids as you were getting ready. Relive the feeling of walking down the aisle and seeing your groom for the first time. The magical sounds of your vows or even how many times you stumbled as you spoke your vows because of all the nerves; it happens to the best of us! The romantic shots and interactions of just you and your groom during your photo session; catching that sparkle in your eye. The loud applause as you were introduced for the first time as husband and wife! The tears of happiness listening to your maid of honor talk about how happy she is for you, or the tears of laughter after listening to that embarrassing best man speech! Or that spontaneous dance-off you had with your niece who in fact is a better dancer then you are! When you combine all the beautiful shots, the candid moments, the natural sounds of the day, and the ambient music, it creates a one-of-a-kind one of a kind cinematic wedding film. A wedding film that will be a priceless memory and keepsake for many years to come. Video has the great power of bringing people right back into that special moment in time. It doesn't matter if your wedding is big or small; there will always be people who aren't able to attend your wedding, maybe because of distance or simply because you just can't invite everyone on your friend list. With technology nowadays, you have the ability to share your wedding video with everyone! Whether it be through social media, blogs or email. It allows people to feel like they were a part of your special day and witness this big milestone in your life. If you had the chance, wouldn't you love to see a video of your grandparents or parents getting married? Think about watching your wedding video on your 40th wedding anniversary and sharing it with your children or grandchildren one day. Capturing your wedding on video allows you to document history; one that will long outlive the wedding and be passed on for generations to come. We believe the value of having a wedding video is absolutely priceless. Capturing the sounds, the movement, the emotion, the memories - life's greatest love story. And that is why wedding videos matter. I’m Steph and he’s Justin. We are husband and wife wedding filmmakers, storytellers, creatives and entrepreneurs. And we have a super cute side kick, her name is Bo. We met in high school when were were just 16 years old and pretty much have been inseparable ever since. We have always been best friends first and that’s why we just love being together. After graduating high school, we both went off to college. Justin majoring in video production, he got to work on some pretty cool projects. And I went off to art school to study interior design. Fast track a few years later, we got married and on our honeymoon read a book that ultimately would change our lives for ever. It was the thing that ignited the flame for everything that would happen next in our story. About 5 years ago, we started our own wedding videography business where we get to tell love stories of the most awesome couples. And recently, we have developed a love for real-estate. We have been having so much fun renovating houses and transforming spaces. Maybe one day we will be the next Chip and Joanna Gaines! But one thing we have always shared a passion for is video. We love being able to document and preserve memories; not just the big moments, but the small ones too. Telling stories about love, life and this incredible journey we all are on. 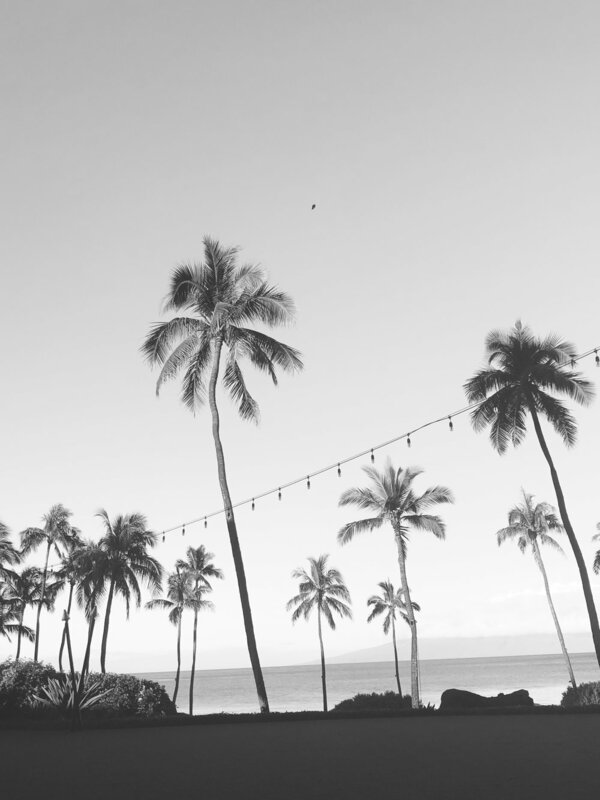 We are so excited to finally be sharing a little peek into our trip to Maui, Hawaii this past April! This is the first time we were both on any of the Hawaiian Islands and we were so excited to make this trip after not vacationing since our honeymoon about 5 years ago!! I know, long over due right? But SO WORTH the the wait! 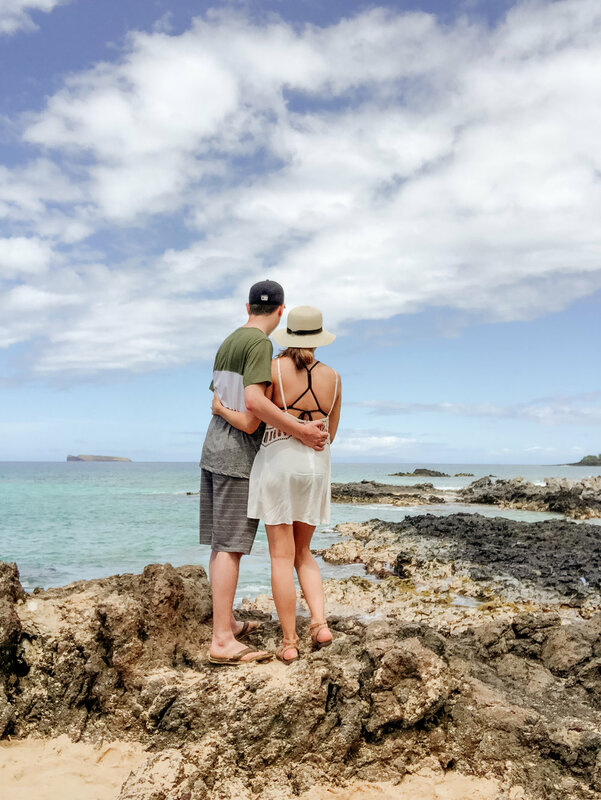 So many of our wedding couples go to Hawaii for their honeymoon and we would hear amazing things about this beautiful island all the time, so we were so excited to finally check this off our bucket list! It is now our new favorite place and Maui totally lived up the hype. The beautiful weather, sunsets, rainbows everyday, the bluest blue's and the greenest greens, the best fish we've ever eaten, and can we talk about the views?! It's no wonder this is the perfect honeymoon spot! I am sure you all are dying to know more about our trip... places to go, places to see and of course places to eat because its always about the food, am I right?! Well, stay tuned. We will be doing a feature blog post very soon about travel tips and all the things. 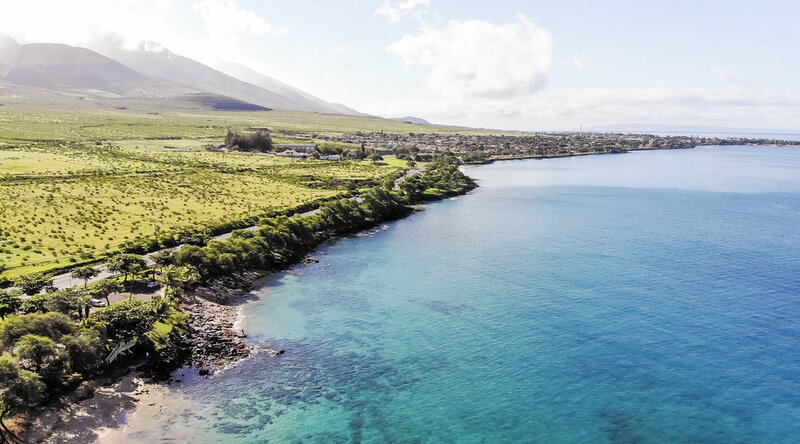 So if you are planning a honeymoon or vacation to Maui be sure to check it out. And just incase your watching this video and wishing you did something like this for your vacation or want to do something like this for your upcoming honeymoon, we are so excited to tell you that we offer Honeymoon Highlights! Wondering what exactly that is? Well, let me tell you all about it! You newlyweds capture all the moments from your trip using phone camera, or other camera if you have one, then you send us all the footage from your trip and we edit together all the footage and put together an unforgettable video for you guys to always have to look back on. After-all, what really happens to all of the those videos you take on your vacation anyways... they sit in a folder on your computer. This is the perfect way to always remember your honeymoon! 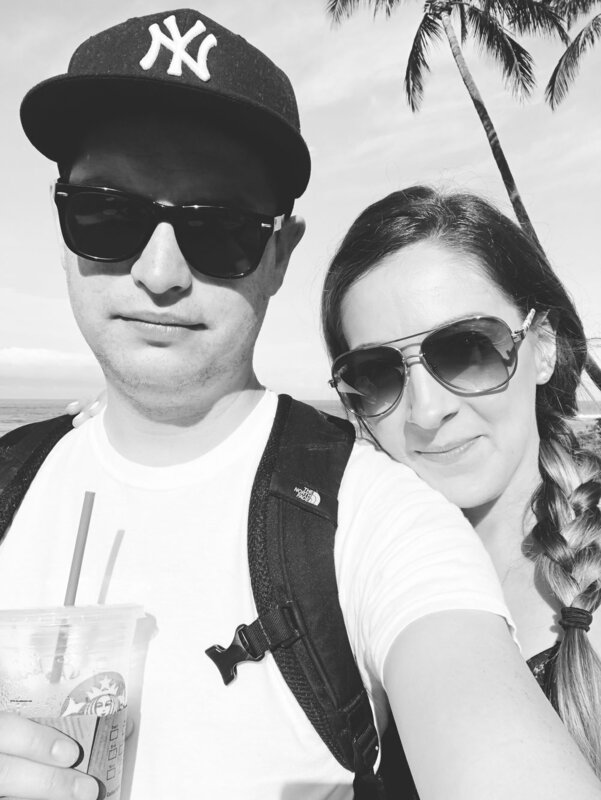 For now, I'll leave you with just a few photos from our amazing trip to Maui! 10 Things You Probably Didn't Know About Justin! I am so excited to share this post today, 10 things you probably didn't know about Justin! 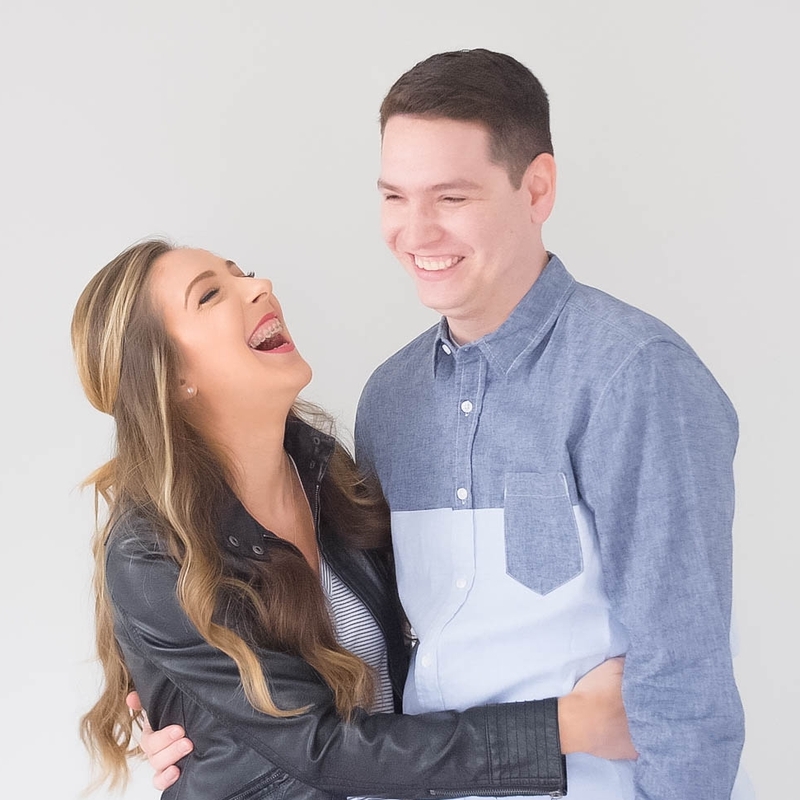 He is my husband and the man behind our wedding edits! It was so fun to come up this list of facts about Justin. It all just makes me love him even more! 1. HE IS A TWIN. Bet you didn't know that! Justin and his brother and were born around midnight, so they actually have separate birthdays. I know, pretty unique right? His twin brother, Julius, was born first on August 15th and Justin came soon after just after midnight on August 16th! 2. HE IS HALF FILIPINO. That's right! Justin's dad is full Filipino and came to the US when he was just 16 years old. His mom is Irish, so that is where he gets the brown hair and freckles from! One of Justin's favorite meals is Pansit, a traditional Filipino dish! 3. HE IS A FAN OF SOUR CANDY. He's got a sour tooth! Sour Patch Kids is probably his favorite, or those sour candy straw things... he loves it all! 4. HE LOVES VIDEO GAMES. You name it, he has probably played it! When he is not editing a wedding film, you can most likely find him on the computer playing one of his computer games until very late at night! 5. HE WORKED WITH TAYLOR SWIFT. Ahhhhhhhh! He was the on-set editor for Taylor Swift's music video, Blank Space! It was a couple day shoot at Oheka Castle and he basically put the edit together on set as they were shooting. He worked along side director, Joseph Kahn. And long story short, the picnic scene in the music video where Taylor's boyfriend is on the cell phone, that is actually his cell phone! You'll have to ask him to tell you full story, I promise its a good one! 6. HE LIVED IN LA FOR 6 MONTHS. Soon after Justin graduated from college, he received a really cool opportunity to live and work in LA with legendary music video editor, Dustin Robertson! He worked on music videos for Mariah Carey and Katy Perry to name a few! And he actually lived right on Melrose Ave where he could see the Hollywood sign from his bedroom! 7. HE WAS HIT BY A CAR IN 2ND GRADE. Okay, so I know this is totally not something you were expecting to read! Thankfully Justin is okay and nothing too serious happened. It could have been a lot worse. This happened when Justin was only in 2nd grade, he was playing outside with his friends and ran across the street to get the ball and that was when the car hit him. He was unconscious for few minutes and they took him to the hospital and praise the Lord, it was nothing serious and he didn't even break any bones! 8. HE WAS ACTUALLY A CAT PERSON BEFORE WE HAD A DOG. I remember always going over to Justin's house in high school and seeing his cat Goober! He loved that cat and pretty sure he was the cat's favorite! Surprisingly, he was never really a big fan of dogs. But after we started living together and I begged him for a dog and now he loves them! Our dog is basically our baby! 9. HE LOVES MEALS IN A BOWL. Some of Justin's favorite meals come in one big bowl. Soup, stews, salads or basically anything he can mix up together... he loves! One of his favorite meals I make him is meatball stew! 10. HE PLAYS GUITAR FOR FUN. Pretty much all of Justin's family has a natural talent for music. They all just have a very good ear for beats and music. This is probably what makes Justin so good at mixing the audio and music for our wedding films! Justin's dad plays the guitar and drums and both Justin and his twin brother play the piano and guitar! 10 Things You Probably Didn't Know About Steph! 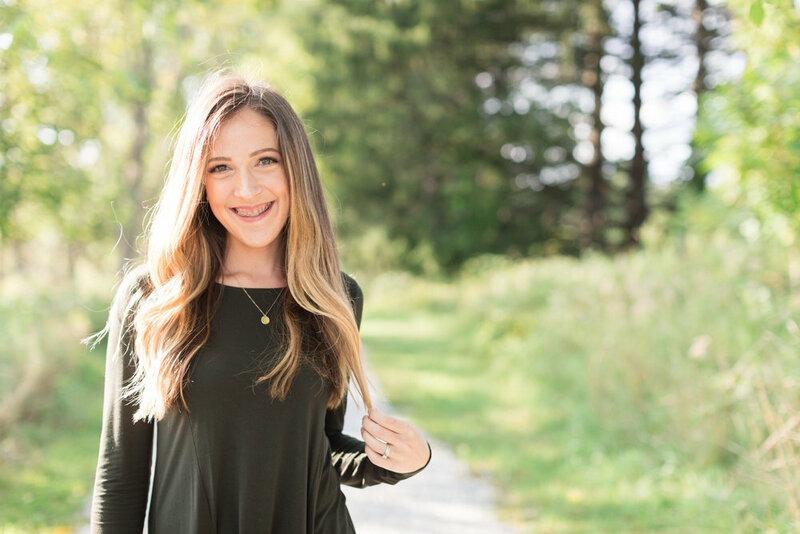 Today on the blog I am sharing a personal post... 10 things you didn't know about me! I always love reading these kind of blog posts from others, so today its my turn! I had so much fun coming up with this list! It has a little bit of everything, some of the things I love, some of the things I enjoy and even some things that just aren't for me! Hope you enjoy reading and get to learn a little bit more about me! 1. I AM A MORNING PERSON. I love to get up early and watch the sunrise! Seriously, it is one of my favorite times of the day. Everything is quite, calm and peaceful. And there is nothing like getting up early and having the whole day ahead of you to accomplish 'all the things". 2. I WENT TO AN ALL GIRLS ART COLLEGE. Moore College of Art & Design is one of the only all girls art schools in the country with only about 500 students! It's located right in downtown Philadelphia next to the Franklin Institute! It was such a great experience being around so many talented, inspiring and creative women! 3. I HAD JAW SURGERY. Incase you were wondering why I have braces on, it has to do with my ongoing recovery from jaw surgery. I know, it sounds a little scary and it totally was! My mouth was wired shut for 5 days and I wasn't allowed to chew food for 3 months! Let's just say, I got pretty good with blending up foods and making smoothies! It was definitely one of the hardest things I have ever done, but I wouldn't trade the journey for anything. I also blogged all about my journey and you can read it here. 4. I'VE DONATED MY HAIR 3 TIMES. The first time I donated my hair was in high school, a whole 13"! The 2nd time was in college and I donated 11". And the 3rd time was just a couple years ago and I donated about 10". Maybe, just maybe I'll do it again! What do you think? This might be one of my all time favorite foods, and for sure, my favorite snack! I pretty much like all the flavors but if I had to choose one, it would be the BIG Cheez-It's, not sure why but to me they just taste better! Excuse me, while I go grab a box to eat now! 6. I DO NOT HAVE A GREEN THUMB. I love having plants in our home or the thought of even growing a garden! But for some reason I just can just not keep plants alive, I am talking simple ones too like bamboo and succulents! Either I water them too much or too little, not quit sure! So for now I'll stick to the fake greens! 7. I AM ALWAYS COLD. Yup, pretty much always cold unless its above 75 degrees. In the winter, you can find me hibernating, snuggled up with blanket, Uggs on because my feet are always cold and dreaming about summer! 8. I DIDN'T EAT SHELLFISH FOR 20 YEARS. When I was just a baby, I broke out in hives and the only thing I ate differently that day was shrimp. So my doctor told my parents I was allergic to shellfish (I guess back in the day they didn't do allergy test to confirm this!) So for the first 20 years of my life I never ate any shrimp or crab! Finally in my early 20's I got an allergy test done and it came back I was not allergic! Not sure if I grew out of it or maybe I was just never really allergic to it in the first place! Either way, snow crabs are now one of my favorite foods!!! 9. I LOVE TO BAKE. I probably get this from my mom! I love experimenting with new recipes and being creative with decorating cupcakes, cakes, cake-pops and basically anything sweet! After college, I actually had started a baking blog called Sweet Escape, which I guess you can say was my first entrepreneurial journey! 10. I MADE MY FIRST VIDEO IN HIGH SCHOOL. I guess you can say I was a filmmaker before I ever called myself one. I compiled all the photos and videos my friends and I took throughout our high school years and made a 15 minute long recap video of all the memories we shared together! It is such a great memory to have! Our Website Refresh... Cue the Confetti! WE ARE KICKING OFF OUR WEBSITE REFRESH WITH A BRAND NEW BLOG POST! The last few months we have been so busy and working really hard on updating our website and we are so excited to finally share it with all of you! Even though the website has technically been live while we have been updating it, we are making today as our official launch day! I think the colors, the style and everything about it really reflect who we are and what Tonemedia is all about! Love, family, memories and telling stories. We really wanted our website to be simple, bright and engaging. And it was important for us to have our videos as the focus to tell the stories since that's well, what we do! We also did a total refresh on our 'About Us' page so you should definitely go check that out here and let us know what you think! And we added a new page for our brand clients which we are so excited about, you can go check that out here. We have so many big plans for the business this year and we are so excited for what is to come! 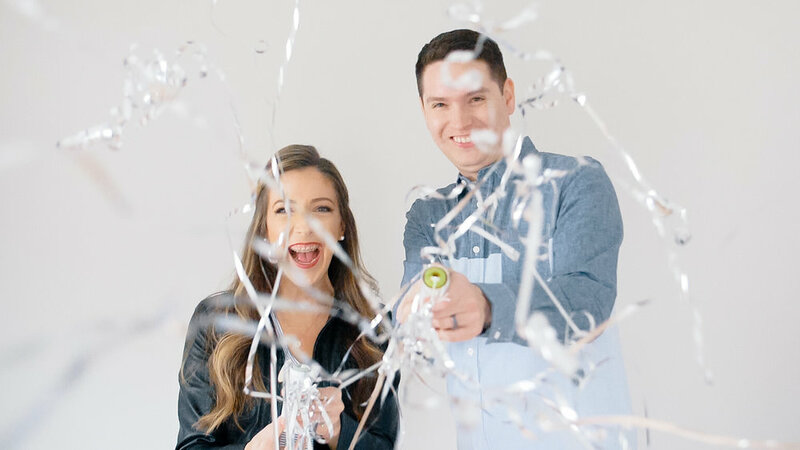 I promise that you will be seeing a lot more of us here on the blog, so get ready to follow along! And in just a few short weeks we will be kicking off our 2018 wedding season! YAY!! Can't wait to share all the amazing weddings on the blog! So to kick off the celebration of our site refresh and our new about us page, we thought it would be fun to do a short post with some fun facts about us! 1. WE HAVE BEEN TOGETHER FOR 15 YEARS. I feel like a lot of people know we are high school sweethearts but don't realize when you put it into numbers that it actually translates to being together for 15 years! We were just 16 years old when we started dating in high school and then the rest is history! 2. OUR BIRTHDAYS ARE 4 DAYS APART. That's right! Not only are we both Leo's, but we were born the same year and our birthdays are just 4 days apart! August is always a big birthday celebration month for us! 3. WE LIVE NEXT TO QUICKCHEK. So when I say we live next to a QuickChek, I mean literally... QuickChek is our next door neighbor! Too bad we grew up in Central Jersey because we totally love Wawa more! But living next to a convenience store sure does have its perks, if we run out of milk, need coffee or need a late night ice cream run, we are just steps away! 4. WE LOVE BOARD GAMES. 5. WE MOVE ... A LOT. Moving is always such a pain but after moving 5 times together, we feel like quite the experienced movers! Our first apartment together was in Lawrenceville, then we moved up to Morristown, then to Randolph, then to Bedminster and then the latest move to our first house in Morris Plains! It literally has been quite the journey! I would say our biggest piece of moving advice is to get movers! We moved ourselves 4 out of the 5 times and this last move we hired movers and it was a game changer!! 6. WE WENT TO SENIOR PROM TOGETHER. We were just 16 years and in love! And the funny thing is our Senior Prom was actually at the old Park Chateau which is now where we shoot so many of our weddings! It looks so much different then it did back then! 7. WE DREAM ABOUT BECOMING THE NEXT CHIP AND JOANNA GAINES. I mean who doesn't?! They are such a power couple! Justin has been getting into real estate lately (we purchased a duplex last summer) and with my background in Interior Design, this is totally possible right?! We love watching Fixer Upper together, love their home line in Target and really look up to the empire they have built! Not to mention they are a husband and wife team! 8. WE WERE IN A DDR COMPETITION. Justin and I were totally obsessed with DDR in high school and it was one of the things that actually brought us together as friends! Justin saw a posting for a DDR competition in North Jersey, so he entered us in! We picked our favorite DDR song, came up with our own steps and there you have it, we came in 4th place! 9. WE ARE DAVE RAMSEY FOLLOWERS. In a lot of ways, Tonemedia was started because of Dave Ramsey! He challenged us to take some chances in our career paths and they were some of the best decisions we've ever made! We shared some of the things we learned to our friends and family and it has helped them as well. Definitely check him out! 10. WE HAVEN'T BEEN ON VACATION SINCE OUR HONEYMOON 5 YEARS AGO! I know, right?! Life has been a bit crazy after we got married with work, starting our business and taking care of some personal things. But this year we are breaking the streak... and we are headed to Hawaii in just a couple of weeks! We are so excited! And you guessed right, we are totally bringing our camera and drone! Our vacation video will be coming to this blog very soon! TONEMEDIA // The next big adventure! Finally sharing some BIG news on the blog today! I am SO excited to finally announce that I am officially full time with Tonemedia!! Can you say, #allthefeels?! When we started Tonemedia just 3 years ago, we could have never imaged that it would grow into the amazing thing it is today. Seriously, still trying to figure out how perfectly this all fell into place. In the past few years, Tonemedia has organically grown by word of mouth and referrals into this amazing dream of a job. What makes this journey even more special to us is all of the relationships we have built along the way- with couples, families, clients, photographers and other creatives in the industry, whom in which we call our friends. That is one part of our job that we cherish the most! I am a big believer that everything happens for a reason; and I know now that "one of my reasons" in this life is to tell amazing stories through the art of video. Whether that is through capturing a wedding day, a couples love story, family milestones or even creative business promos. My heart is in storytelling. It is the perfect creative outlet for me that my mind is hungry for! As some of you may or may not know, my background is actually in Interior Architecture. That is what I went to school for and then eventually worked my way up to work for one of the top architecture firms in the world. But sometimes God has other plans for you and life takes you in a different direction. And for that, I am truly thankful. Let's face it, there is no hiding that I am a perfectionist- so I am always striving for perfection. But I am also always pushing myself to better and improve my craft. Whether that means doing something differently or looking at something in a different perspective. It keeps my creative juices flowing, inspires me and allows me to be a better version of myself every time. Working with my husband, Justin, has been a true blessing. I know, I know- we get the "you work with your husband? I would never be able to do that!" phrase all the time. But to be totally honest with you, we work perfectly together. Maybe even too perfect! We feed off of each others energy and creativity. What I lack he provides and what he lacks, I provide. We love…love! And I can guarantee you every time we deliver a video to our couple, I have tears pouring out of my eyes! Maybe it’s because it reminds me of our wedding day and the love we share for each other throughout these past 13+ years of being together. Maybe because we get to remind couples and families what there wedding day was truly about; love and family. Justin and I have found our true passion in this life. I feel truly blessed that I get to live out my dream job- documenting history, capturing moments into memories and telling one of life's greatest love stories. I wouldn't have it any other way. Here's to continuing this amazing journey, new adventures ahead and never looking back! A BIG thanks to the very talented Mekina Saylor for all the amazing photos! !